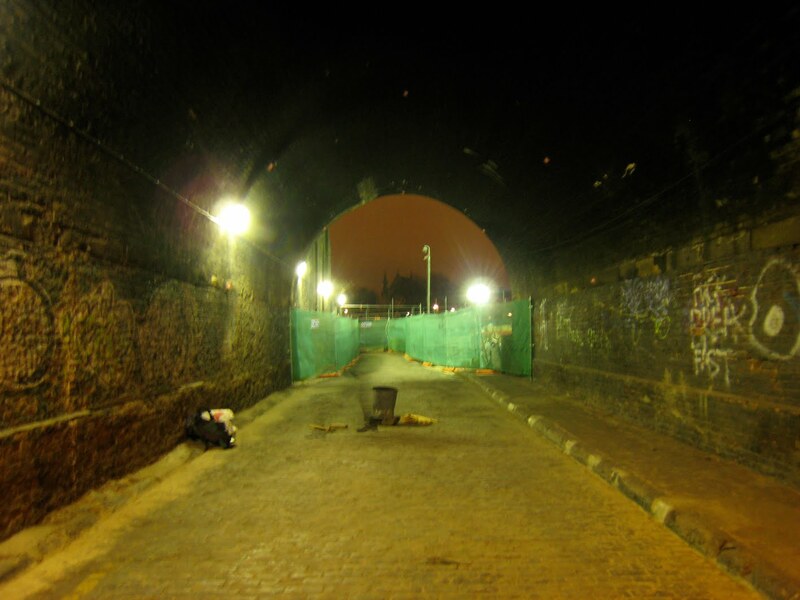 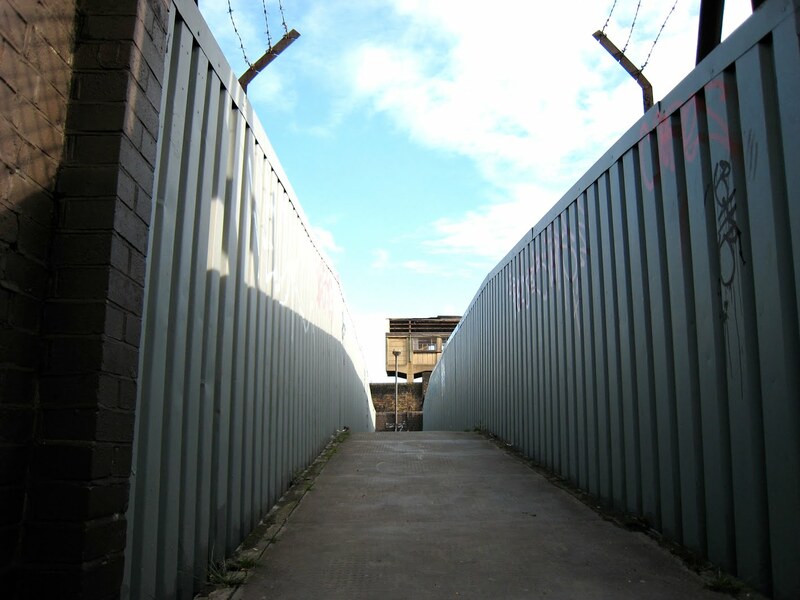 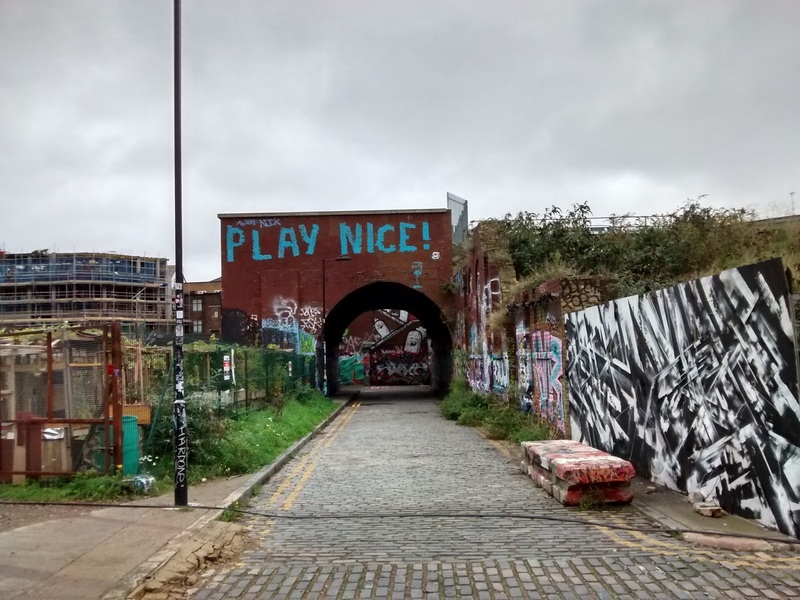 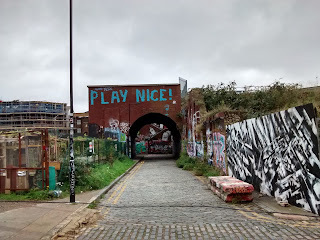 On our London Walking route we came across the Nomadic Gardens, on a site where railway arches and a builders yard once stood (the 'last' arch standing is the walkwalkwalk one). 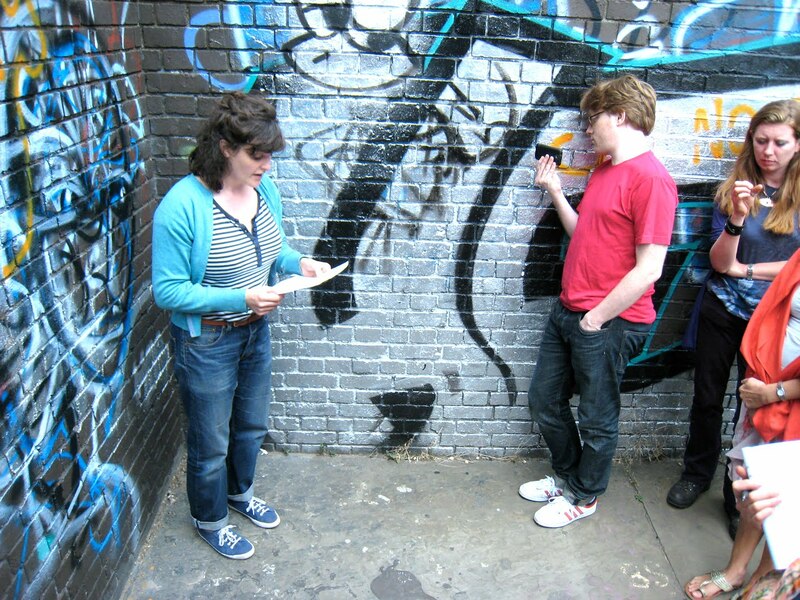 Georgette cam across this article about them in the evening standard. 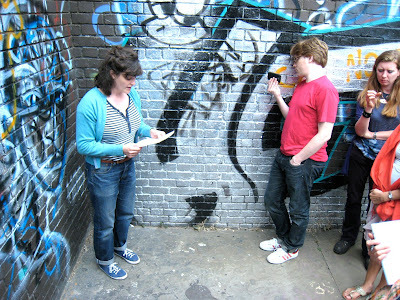 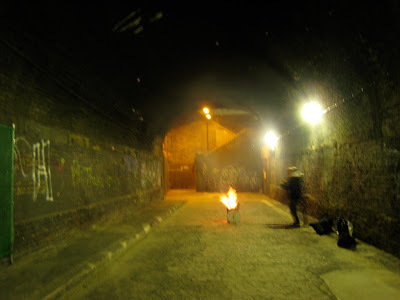 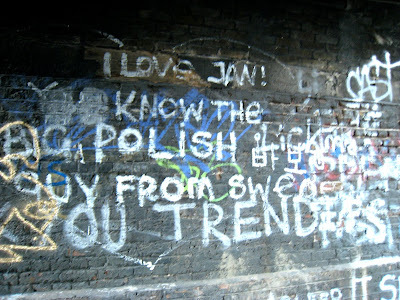 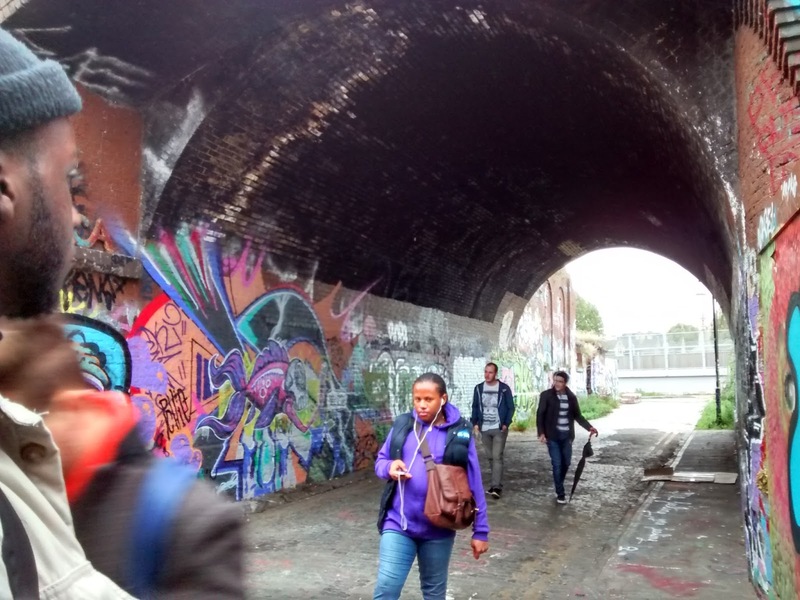 I took students from the Cass's London Walking dissertation studio on the walkwalkwalk route. 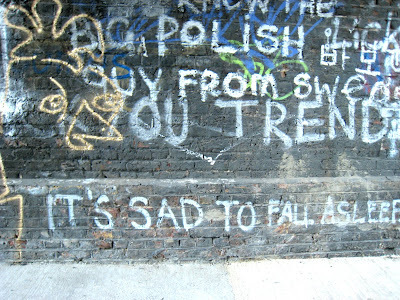 so much changes, so much stays the same..... lovely to revisit some old haunts. 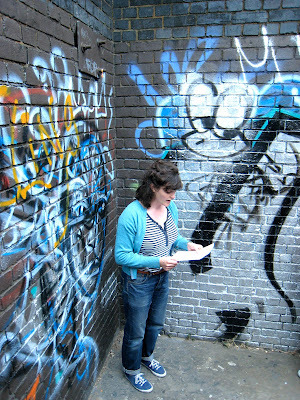 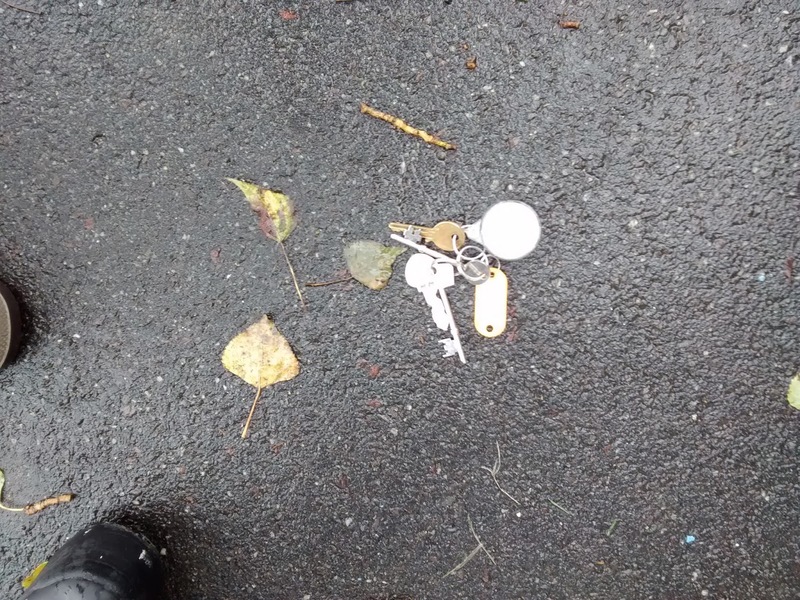 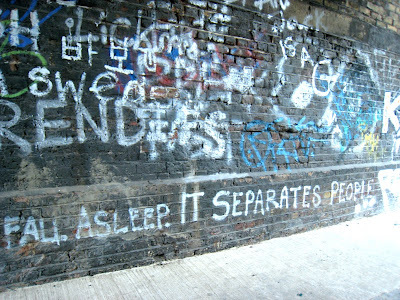 I was reminded what Gail Burton has said about the project, that by repeated walking you score the route both into the city, and into yourself, this felt very true today - anticipating the way as it unfolded, no need for maps - it is definitely ingrained in me! 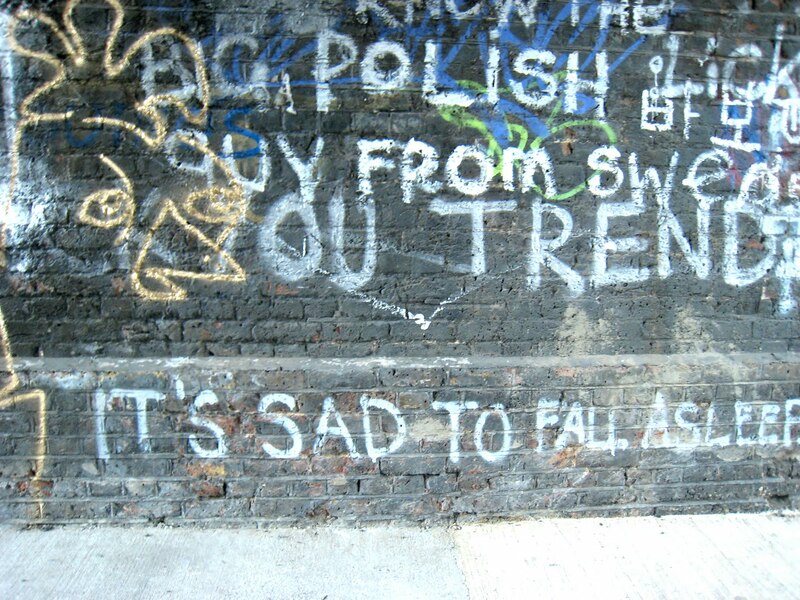 7th October 2015. 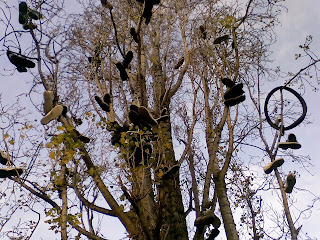 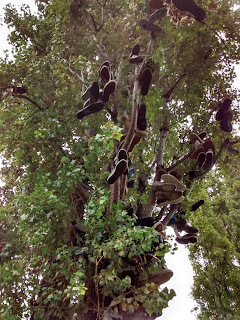 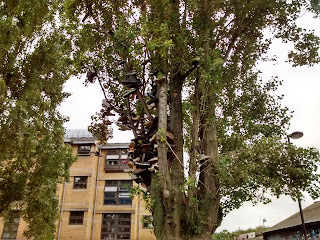 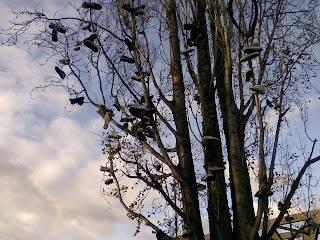 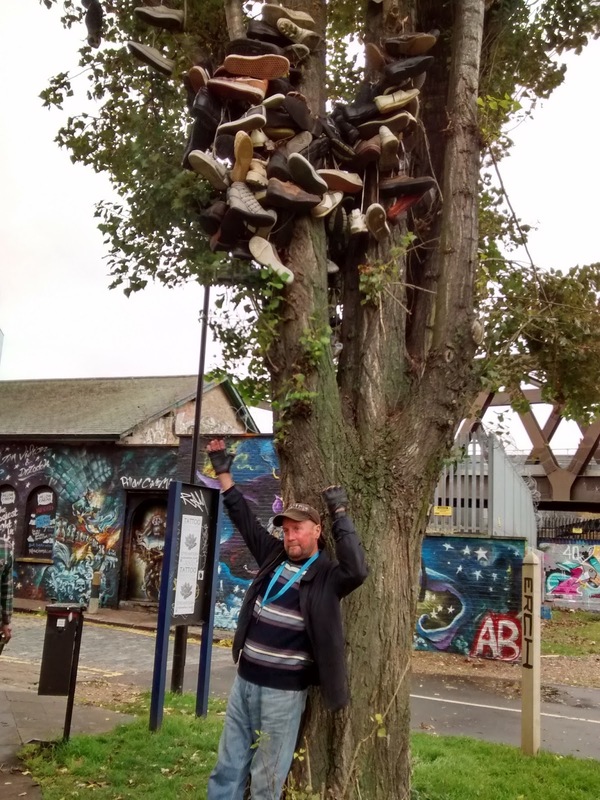 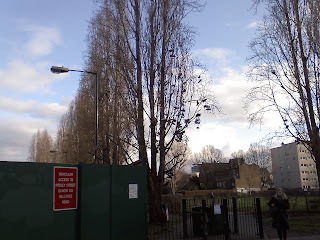 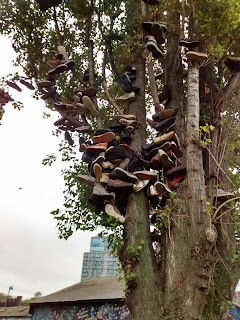 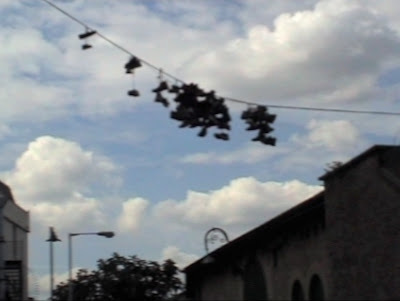 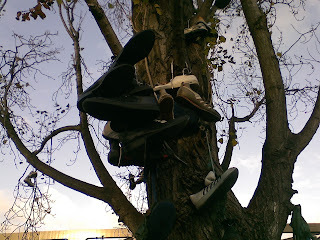 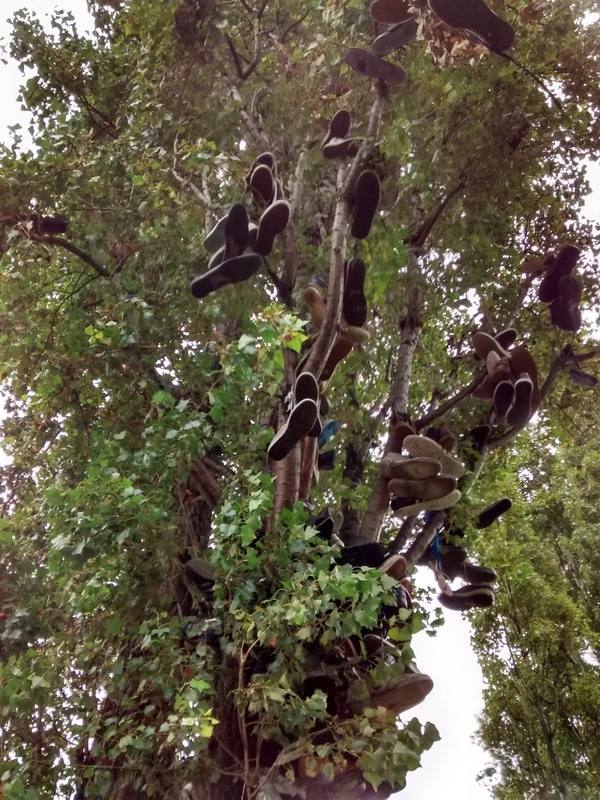 The shoe tree rises again, this time on actual trees on the edge of the park, very close to the former location (a wire running across Pedley Street, outside Shoreditch tube). 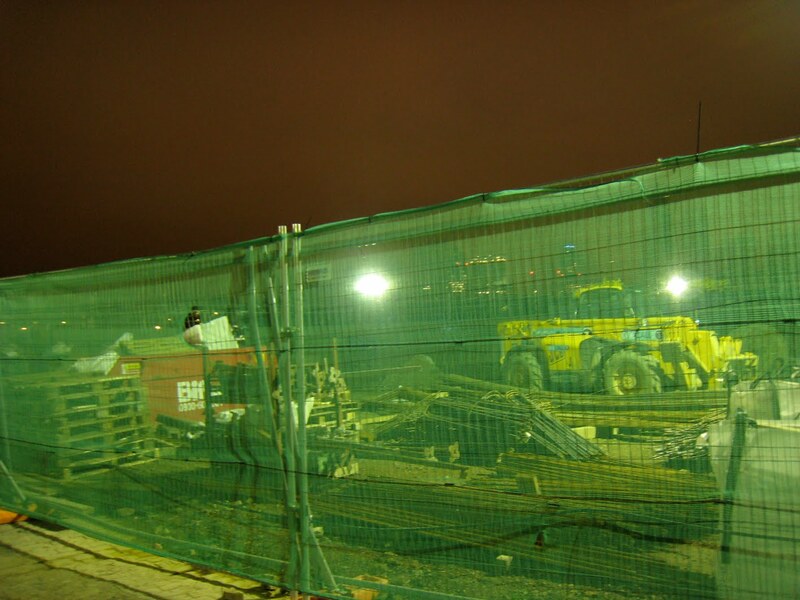 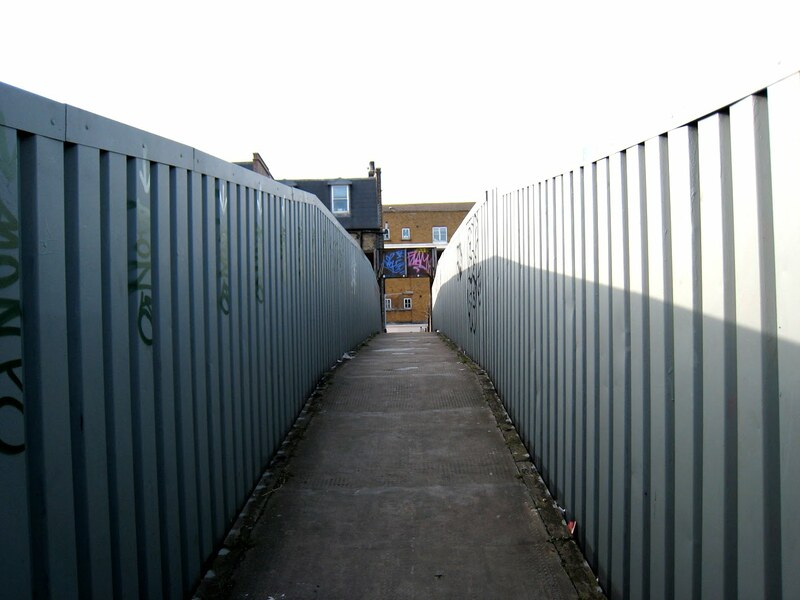 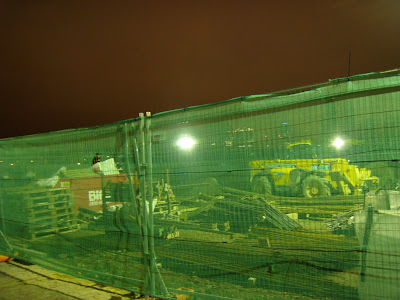 I went to see if I could get through from Pedley Street to the foot bridge today, but it seems like it will be permanently inaccessible as the rising east London line extension emerges from underground right across the pathway.